The refreshing combination of peppermint and chocolate in our Peppermint Bark all natural herb tea is hot and cool all at the same time. A warm treat on a cold day with a minty finish your taste buds will thank you for. Start with fresh cold water and bring to a rolling boil. Pour over tea bag, steep 4 minutes and remove tea bag. For Iced Tea by the glass steep a little longer then pour over ice. I was beginning to get tired of non-caffeine teas. They all start to taste the same after a while. And then I tried Peppermint Bark tea. I have it almost every day, and never get tired of it. You can have it hot in the winter, and iced (with milk, if you like) in the summer. 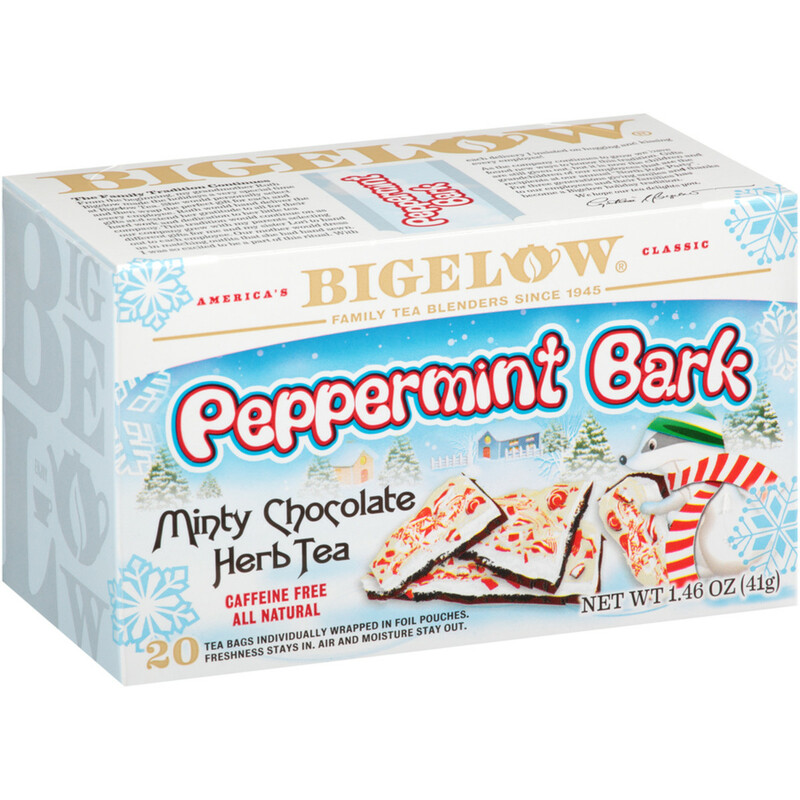 I've given it to friends, and now there's a Peppermint Bark fan club:) Thanks, Bigelow!